each member will create a thread exhibiting there work, based on the rules of that exhibition. once the thread is created showing your images it will be locked so that none may post in that thread. once the deadline is reached a thread for voting will be put up and members can cast there vote after 15 days the winner will be announced and if enough entries are submitted prizes will be given out. 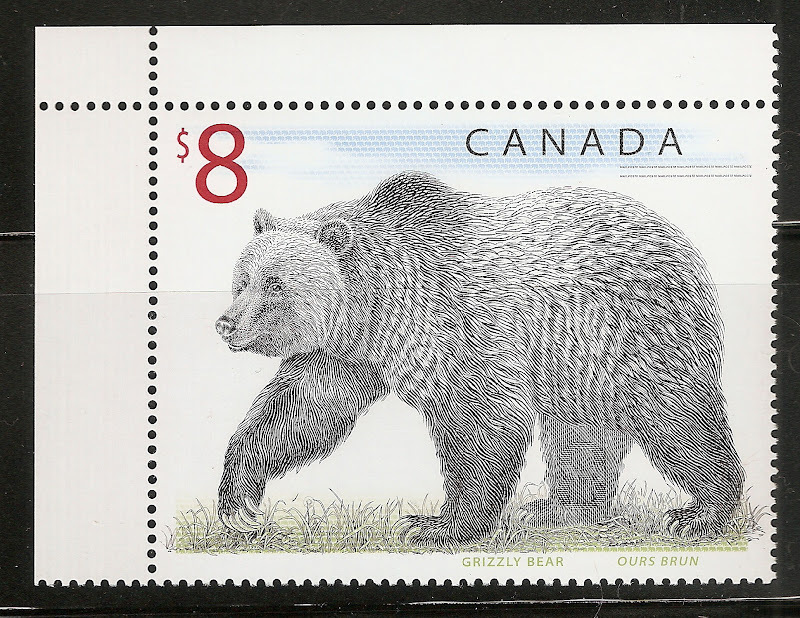 because this is the first run Stamp Bears will provide the prizes for this round. here after participants will be required to send an entry fee (of 100 stamps) that will be used as the prize pool. the October Exhibition will be a one page "Poetry Through Stamps"
one page of your original work will include stamps and or covers that express a poem of your choosing. this poem may be an original work of your own or a published work. please note that published works MUST be cited on the work. that is it. from now until October 1st please state if you are participating. October 16th - 30th Voting will occur. Alright, I am in. Time to get in touch with my inner poet/poetry reader. adjustments were made to the permissions so that members could post. RossTO was thinking ahead as i had simply forgotten to open the posting area to members. First off, your code for the smilie is incorrect, and in fact isn't even close to one of the codes for the various smilies we use. Bear has posted the guidelines (rules) for this exhibition. But in case you need an explanation, this is a 1 (possibly 2, Bear will clarify) page entry showcasing a poem of your choosing, as well as stamps that are related to that poem. It could be an image of something in the subject, a stamp depicting the author, or whatever so long as the stamps' subject can be tied to the poem. Everything else is only limited to the imagination of the exhibitor. Can songs count? No music, just words are given on the page. Can post cards be used, as long as stamps or covers are present? I was thinking of doing Songs as a future exhibition so for this round i will ask that they not be used. postcards count as covers so yes please use them. I have one ready to rock and roll with...no, it's not a song! And then again some people may not feel that it's a poem, but I feel that it is highly poetic and also starts with a P so I'm going on with it...well, have gone with it! The number of images you can fit on a page relates to the size of those images - it can be as small as 1 and as large as 34,456,801; but preferably the image size should reflect the size of the stamps. The size of the font is also a matter of personal choice - from one letter per page to script so tiny that the whole of the Bible could be inscribed on that page and leave room enough to do it again...but here is where common sense should prevail and most would like to make font size so that it is readable on the average computer monitor, say, as a guide to lie between 12 and 14 pts (inclusive). I hope that resolves your quandaries. I have a poem and I would like to participate. thread cleaned up a bit. reminder entries should not be posted until October 1st. Entries will need to be posted in the Exhibit October 2013 area only. early submissions will be removed until it is the right time to post. "The size of the font is also a matter of personal choice - from one letter per page to script so tiny that the whole of the Bible could be inscribed on that page and leave room enough to do it again..."
This could be useful since the poem in question is close on 3000 lines long. Or, there again, I might just do an excerpt. I will also try my hand at this, it should be fun. i am starting work on mine this weekend. i think it will be quite enjoyable. Yes, please, Bear, I`d like to participate in this one!